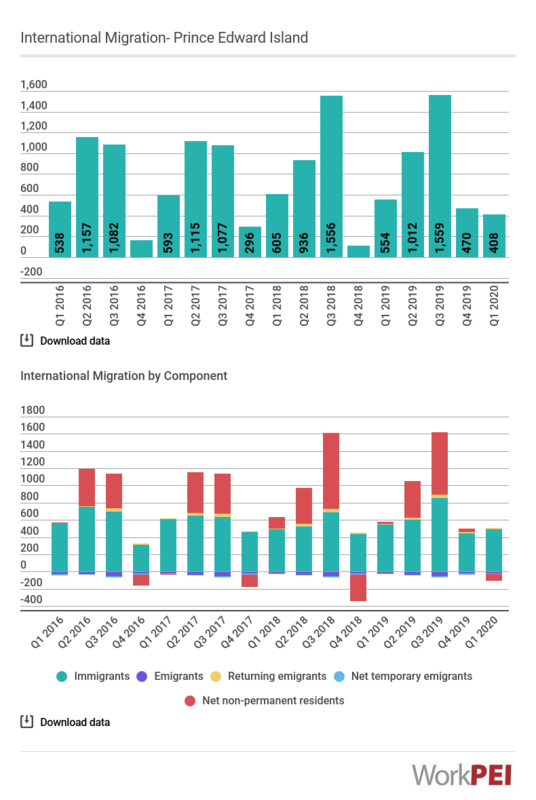 In the fourth quarter of 2018, net international migration was 104, down 163 persons from the same quarter in 2017. Based on a year to date perspective, net international migration is up 176 persons. 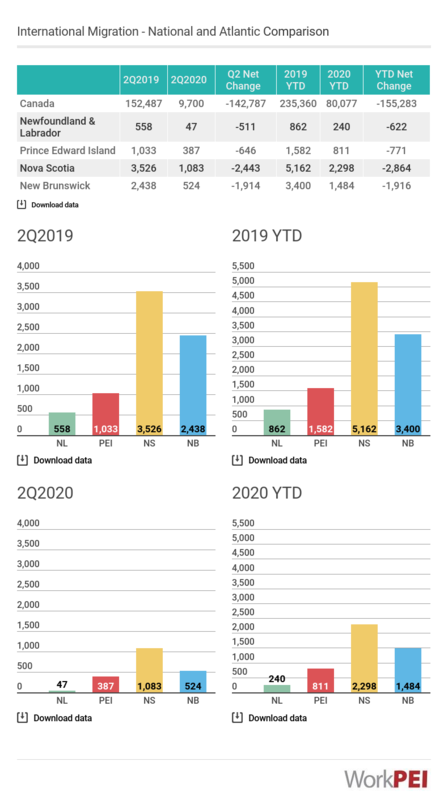 Adapted from Statistics Canada, Table 17-10-0040-01 (International migration components, Canada, provinces and territories). This does not constitute an endorsement by Statistics Canada of this product. Represents the net count of persons moving from or to another country through immigration (permanent and non-permanent) and emigration (emigrants, temporary emigrants and returning emigrants).